We are one of the most trusted organizations engaged in offering a wide range of high quality Air Tanks to the esteemed clients. These air tanks are manufactured by using high grade raw material and other components, at our vendors' end. 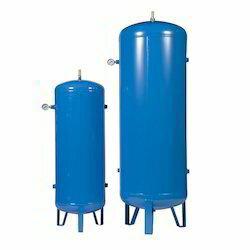 The Air Tanks are widely used by the customers for the purpose of storing compressed air in an efficient manner. High Pressure Air Tank also are one of the most efficient and exclusive quality materials of our company which we are exclusively manufacturing and supplying in several regions of the country. 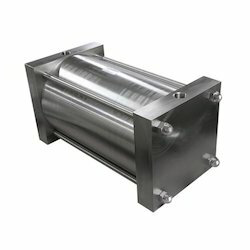 These high pressure air tanks are used for the installation in a comprehensive range of industrial machinery. 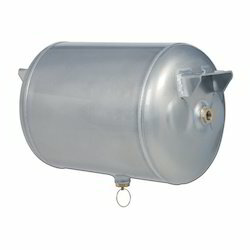 Steel Air Tank is one of the most required and useful parts for almost all the kinds of vehicles and hence are very much in demand and use in several automobile industries across the country. We are one of the most reliable and trusted companies which are manufacturing one of the top grade industrial and automobile equipment and are efficiently supplying in different regions of the country. These air tanks are used for the purpose of maintaining a proper and appropriate level of pressures in the valves and chambers in the automobiles.